First read the complete MV Airo fitting guide we have prepared for installation inside the drivers seat base. It includes all the information about hooking up the electrics and fuel supply. 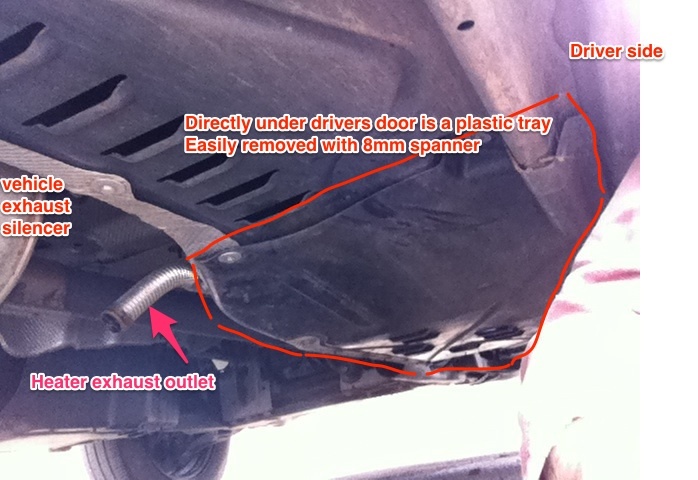 This page is just some extra advice about locating the heater unit underneath your van floor. 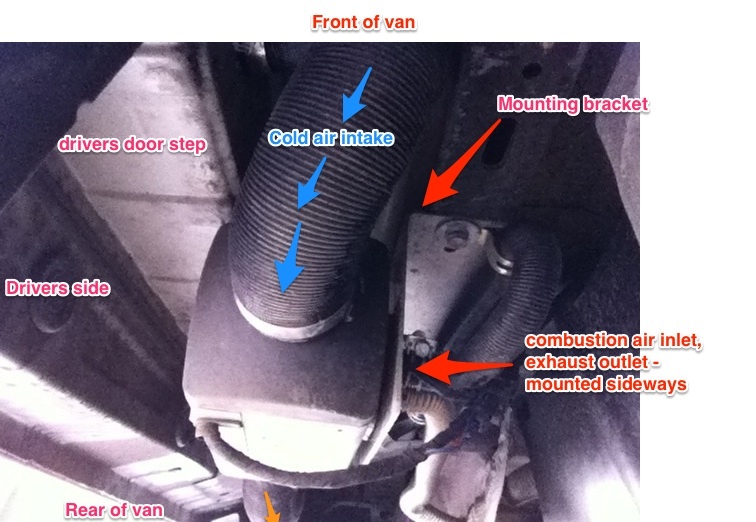 Here's an overview of how it fits together: The heater is fitted on its side, so that all the exhaust, combustion pipes and fuel inlets are facing sideways - towards the centre of the van. 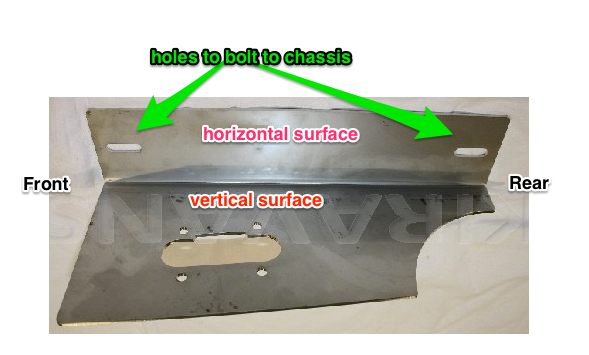 The bracket is bolted upwards to your main chassis bar.